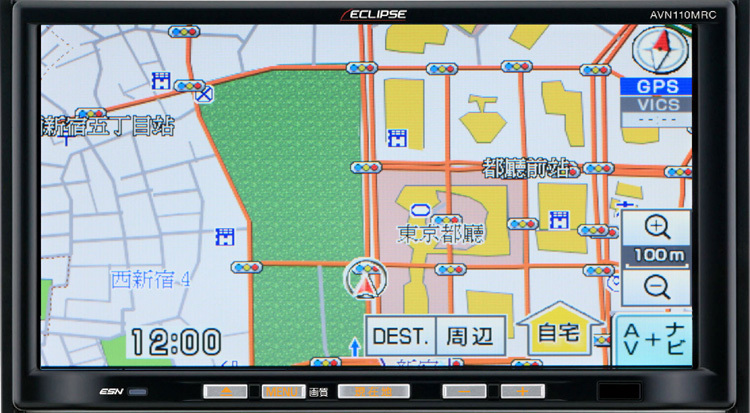 Fujitsu Ltd. (Headquarters: Kobe, Hyogo Prefecture, President: Takashi Shigematsu Capital: 5.3 billion yen), the AV & Car Navigation Systems “ECLIPSE (Eclipse)” from the Industry’s First (※ 1) four languages ​​on maps on sale in early November, a car navigation system that supports corporate display and voice guidance. With the recent increase of foreign tourists has been increasing use of foreign tourist rental. We will meet the needs of car rental companies as a convenience for foreign tourists, in October 2010, in-dash navigation for corporate memory has released a car navigation map display and voice guidance provides the first English . “Necessary and sufficient basic functionality,” “low cost”, “durable” body-proven navigation “AVN110MRC” a combination of SD maps, multi-language version, you select from three combined illustrations and detailed Edition that correspond to the various needs of corporate customers. 1. Multilingual (voice guidance and Korea Map / of / J / E) New! 2. New house-shaped figure chart display also supports the city!